The Christchurch attacks had a soundtrack. The gunman Brenton Harrison Tennent decided what he wanted to have playing as he killed and killed and killed. The livestream had the sounds and the media identified the music for those who were unaware. ...he picks up his gun, storms into the mosque, and cuts down one innocent life after another. When it is over, he climbs back into his car, where he has left his music playing — the song Fire by the English rock band The Crazy World of Arthur Brown. And right after the singer bellows, 'I am the God of Hellfire!' the gunman drives away. 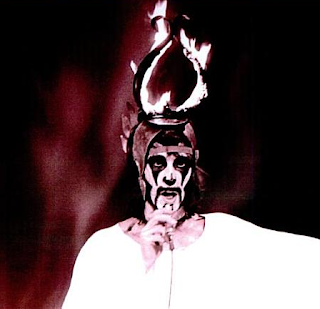 But Arthur Brown has some choices to make too. Arthur Wilton Brown was born on June 24, 1942 ~ St. John's Day, which is associated with fire, and which would be the date of the birth of flying saucers five years later in 1947. 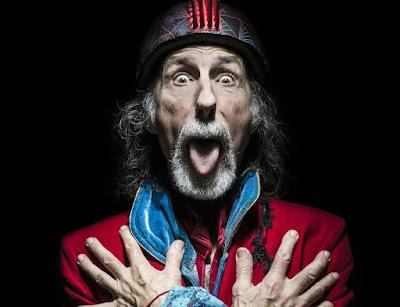 Brown is an English rock singer and songwriter best known for his flamboyant theatrical performances, resulting in his creation of The Crazy World of Arthur Brown. His signature lyric from his wildly popular song Fire is "I am the God of Hellfire and I bring you fire." In the 1980s, Brown moved to Austin, Texas, where his wife was from, and obtained a master's degree in counselling. He moved back to the U.K., and then back to Austin, where he has been living for several years. On the night of the Ides of March 2019, Brown performed at Austin's Empire Garage, ending with his 1968 song, Fire. In New Zealand, the killer Tarrant livestreamed (without permission) as he murdered Muslims, Fire, also on the March 15, 2019. As I noted here, Brenton Tarrant's name literally means "flame" + "thunder," and thus rather close to "Hellfire." As co-writer and performer of the song Fire, and creator of The God of Hellfire persona, I would like to express my horror and sadness in the use of Fire, in an act of terror in New Zealand. My heart goes out to all the victims and families of victims of this atrocity – and to all the communities affected. OUT OF RESPECT for the victims of this horrifying act in New Zealand and following the advice of respected local authorities, I have decided to CANCEL the 'instore' performance at WATERLOO RECORDS in AUSTIN tomorrow. Source.